WordPress Developer – Hire A PRO! I have been working as a wordpress developer for as long as the platform has been popular! That means I know all of the ins and outs of WordPress and can help your site be the best it could possibly be. 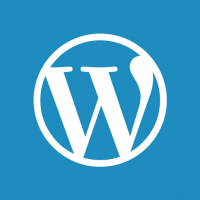 WordPress is a popular and powerful content management and blogging tool that is easy to install and use, making it easy for you to update and change your website. If you really want people to pay attention to your website or blog, it should have an appealing design and look professional…and that is where I come in!